I just booked my trip to nyc this June and can't wait! I lived in Soho for three years (a few years ago) and I do miss the energy + creative vibe of Manhattan. This apt is what inspired this little blog and I while I have a few more square feet then that studio (only 325), I miss that little place. It was a special time. So here's to nyc - see you soon! 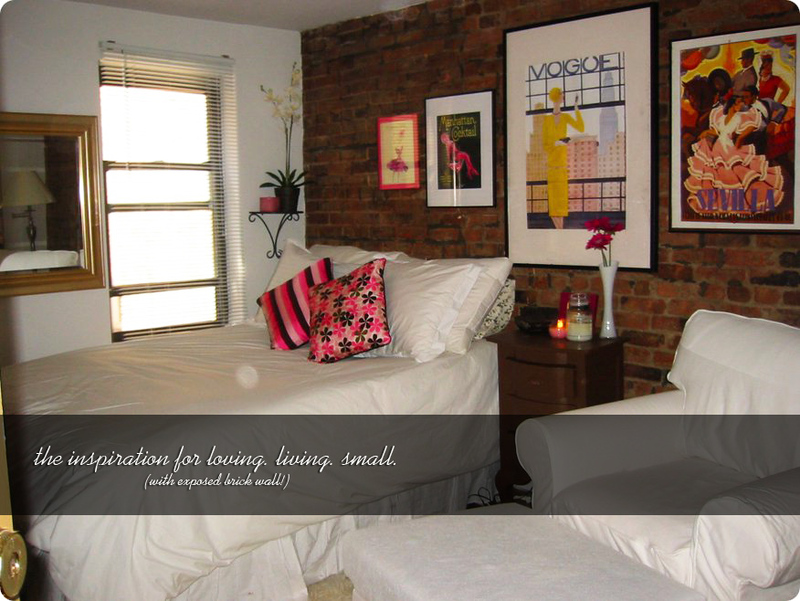 4 Responses to "nyc + exposed brick walls"
I couldn't live with myself in such a small place, much less with my husband and my big dog. I don't understand how it's done - which is probably why I like to read your blog. oh the joys of living in tiny nyc apartments... you either love it or hate it I guess. I am a lover. Marilynne, two years later and you may be my fave commentor to date - love it! 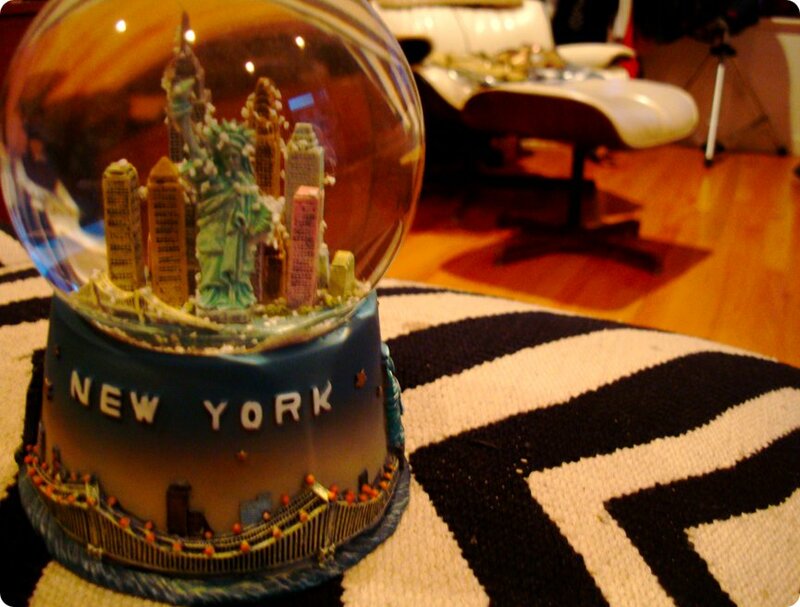 and I heart ny, yes! i am (clearly) a lover to! Hey, I have this secret wish to live in a small apartment with my future husband (still unknown)... and cherish the moments and joys of making it beautiful....!